The Carling story dates back to 1818 when Thomas Carling, a farmer in England's Yorkshire district, took his family to the rich farmlands of eastern Canada settling at what is now the city of London, Ontario. During his first year there Tom Carling cleared a small area. Then, in accordance with the custom of the day, he called on his neighbors to help at a "stumping bee", a cooperative effort in which each man brought his own oxen and tools and the land was cleared of tree stumps. All that these helpful neighbors asked was that they be refreshed and fed. Thomas Carling's refreshment, a home-brewed ale, was of such quality that soon he was brewing it for other stumping bees. In time, it grew so popular that he abandoned farming for full-time brewing. The first Carling brewery was a modest affair - a couple of kettles, a horse to turn the grinding mill and six strong men to work on the mash tubs. Carling was his own sales and shipping department. He started by trundling his wares through the streets of London on a wheelbarrow. 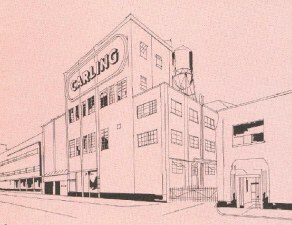 By 1878 when his sons, John and William, built a new six-story brewery in London, Carling was a national name in Canada. The new brewery was destroyed by a fire just a year after opening. William Carling, after fighting the fire and losing the battle, died of pneumonia shortly after the fire. Carling enters the U.S. beer market for the first time in 1880 when they purchase the Rogers & Hughes Forrest Brewery in Cleveland, Ohio. The name of the brewery was changed to the London Brewery where the Carling line of ale, brown stout, and porter were brewed until 1884 when Carling sold the brewery to John Macbeth who was the manager of the brewery for the Carling family. The Carling line of brands was brewed under license. Macbeth sold the brewery to the Barrett Brewing Company the very next year. The Cleveland & Sandusky brewing company purchases the rights from the Carling family to brew the Carling line in 1898. 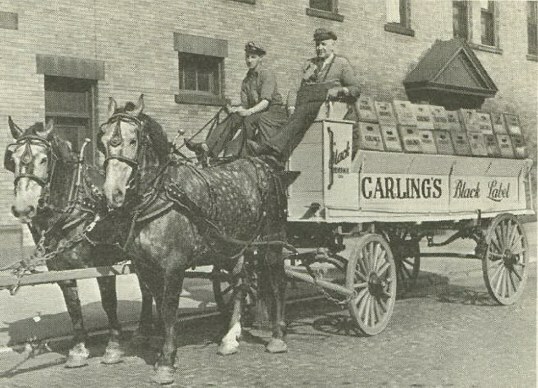 Carling is produced by them until 1911 and wouldn't be seen in the US until after prohibition. The opportunity for Carling's appearance on the American scene in 1933 was created by a combination of the Repeal of Prohibition, the deepening of the Great Depression and the desire of some American businessmen, led by James A. Bohanon to venture into new fields. 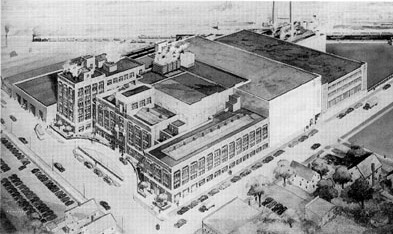 When the "dry" era ended the building that was to become Carling's Cleveland brewery was the home of the Peerless Motor Car Company, makers of prestigious custom-built cars. In the depressed economy of the day there was little demand for the expensive Peerless product. Looking for a new business opportunity, Peerless management decided to take advantage of what they saw as the imminent rebirth of the long dormant American brewing industry. For help in entering this new field Peerless turned to Carling of Canada, an established brewer with a long and distinguished history. In exchange for 25,000 shares of Peerless stock, Carling's parent company provided Peerless with the rights to the formulas for Carling brews , their identifying labels, and trademarks. 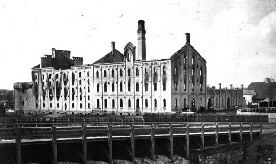 Technicians and brew masters were sent from Canada to convert the auto plant into a brewery and to train American personnel to operate it as the Brewing Corporation of America. The Brewing Corporation of America tried at first to just brew Carling's Red Cap Ale, but sales were too slow to maintain the brewery and sales didn't climb until the introduction of Black Label . The philosophy behind Black Label was to have a high quality lager that was available nationwide, but with a locally brewed budget price. The strategy worked and the next several decades led to rapid growth and expansion for the brewery and the Carling Black Label brand. At first, the company's products were sold in northern Ohio only. 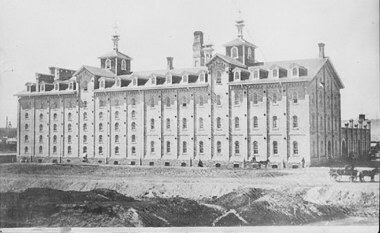 Expansion throughout Ohio and into neighboring states followed as the popularity of its Black Label Beer, and Red Cap Ale created new markets. After World War II, the Brewing Corporation of America was acquired by parent firm, Canadian Brewers Limited. In 1946, the bosses in charge decided to eliminate the Black Label brand and concentrate on the higher priced and more profitable Red Cap Ale. This was a bad idea as sales dropped 40% in just two years. 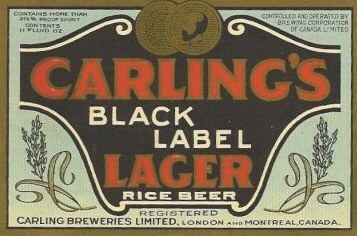 The Carling Black Label brand was reintroduced in 1950. The "Hey Mabel, Black Label ! " advertising phrase is born and later goes on to be one of the most popular and recognizable slogans known. In 1951, Carling hires Jeanne Goodspeed, an actress and model from New York City to become Mabel. For almost twenty years she, or an animated likeness of her was seen in television and print ads as a bar maid toting trays of Carling Black Labels to thirsty patrons. Don Dittmann, with an Olympia Brewing Company exec. The spectacular growth in Carling sales and corporate strength started when Ian R. Dowie was sent by the parent company in Canada to take over as vice president in charge of Sales of Brewing Corporation of America, as Carling was then called. Dowie, born in London England, had been with CBL for nine years and was vice president when he was assigned to help the American company in Cleveland. He was named executive vice president of BCA less than a year after he moved to Cleveland. 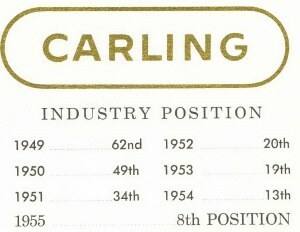 Carling was in 62nd place in the brewing industry when Mr. Dowie took over as president in 1951. Within a short time, he had Carling on the upswing. He quickly moved Carling into an expansion and decentralization program. In Cleveland, the capacity was almost doubled and the Carling theory of regional autonomy for marketing, production and sales was put into effect. Carling grows throughout the '50's with double-digit growth every year. In 1954, the company, known now as the Carling Brewing Company, began the program of growth and development that brought it to national eminence. The Stag brewery in Belleville,IL , is purchased from Greisedieck - Western Brewing Company. Along with that deal came another brewery in St. Louis called the Hyde Park Brewery. This brewery, which was antiquated, was shut down a few years later after a fire destroyed part of the brewery in 1958. 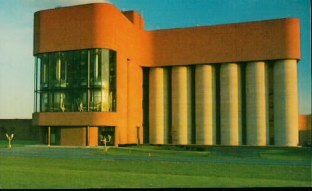 While a brand new state-of-the-art brewery was being built in Natick, MA., Carling purchased the Frankenmuth Brewing Co. facility in Frankenmuth, Michigan. This was a beautiful brewery overlooking the Cass River. The original brewery was built in 1899 and after being bought by Carling was modernized and expanded. Another brand new brewery near Atlanta, Georgia opens in 1958. In 1959, the Columbia Brewery is purchased in Tacoma, Washington, while another brand new brewery is being built right off the Beltway in Baltimore,Md. This brewery opens up in 1961. With breweries strategically placed across the country, Carling uses freshness as a selling tool for the first time (no, it wasn't Budweiser ! they never had an original idea.) in the brewing industry by putting the U.S. map on the back of cans with stars showing the locations of all their breweries. War Zone C - 228th Supply and Service Company (Direct Support) - US Army. Thanks to Arthur Neighbor for sharing the pics. Thanks to Orbital Joe for the pics. Today, a company called Sam's Tire Retread calls a part of this once proud brewery home. The rest lies vacant and decaying. The expansion with new and acquired breweries increased Carling's total annual production capacity to more than 5,000,000 barrels and added two honored brands to it's product line - Stag Beer produced at Belleville and St. Louis, and Heidelberg Beer brewed at Tacoma. Carling's sales growth was electrifying. Once "regional", Carling became a national brewer, selling it's brands in every state. 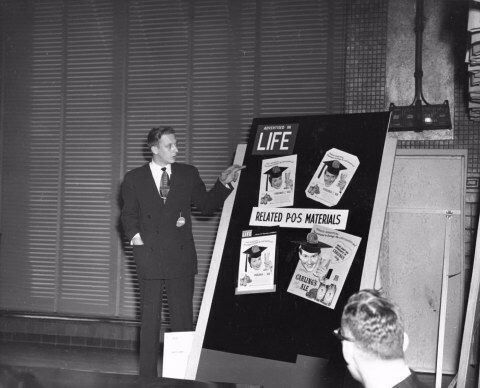 The company that ranked 62nd among U.S. brewers in sales in 1949 was in the top ten by 1955. 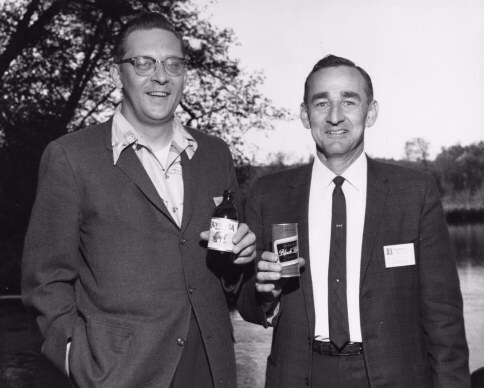 Carling enters the 1960's as the 'fastest growing brewer" in the United States and continues their expansion. In 1962, Ian R. Dowie now president of Canadian Breweries Limited, becomes chairman of Carling Brewing Company. Herny E. Russell is elected carling president in November of 1962. 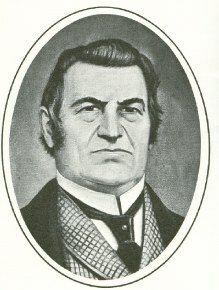 Henry Russell was regional vice president in charge of the Natick brewery. Under his leadership Carling continues its vigorous growth. 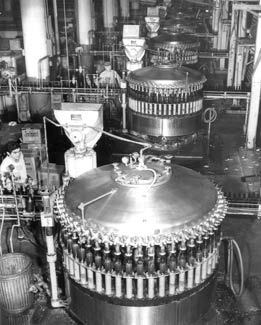 In a huge mistake which almost ruins the company, Carling experiments with a "continuous brewing process " at a newly built brewery in Ft. Worth, Texas.The idea was to speed up the brewing process, and in short, to brew more beer more often. The experiment is a complete failure. The idea is scrapped and the brewery is closed after just a few months. Later , this brewery is sold to the Miller Brewing Company which removes the experimental equipment and still brews beer there to this day. This brewery is also the current home of the Lone Star, and Pearl brands which are brewed under contract to Pabst. Another brewery is purchased in 1964 from the Arizona Brewing Company, home of A-1 Beer. 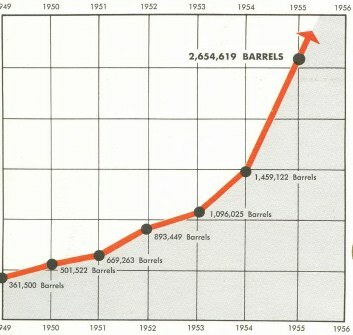 Ironically, 1964 is not only the year that Carling hit its sales peak with sales of 5,775,000 bbl.., but is also the year I was born!!!. By this time, Carling Black Label is truly an international brand being sold in all 50 states and over 50 countries. In 1966, the Phoenix brewery is sold to the National Brewing Company, but returns when the two companies merge in 1975. In 1965, Carling signed an option to purchase a 35 acre site in the San Francisco bay area. This move was part of the original decentralization and expansion plan. 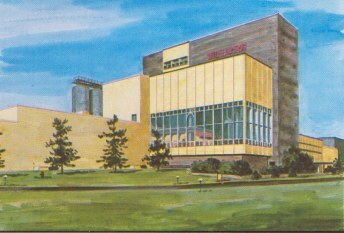 The proposed brewery was developed to coincide with the growth of demand for Carling products on the West Coast, which sadly never happened and construction never started. Another Carling innovation, the "no-opener needed" bottle. 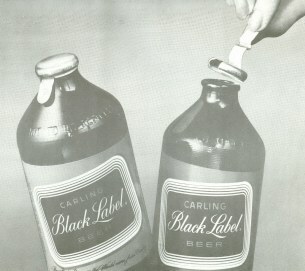 In 1968, with sales of Carling product on the downswing, Carling introduces the "keg bottle" which helps increase sales of Black Label by 8.1%. 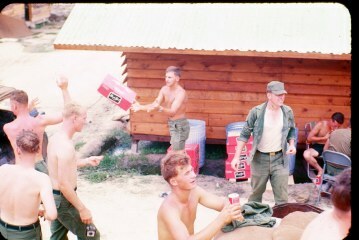 Carling Reps building one of the first Keg bottle displays at an Ohio A&P Store. 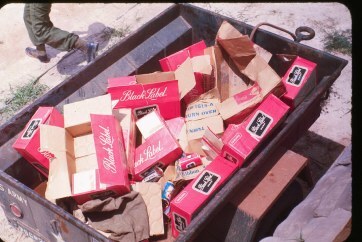 Entering the 1970's, Carling Black Label while still a very large seller, began to see sales slip. Anheuser-Busch, and Miller Brewing Co. started major cost cutting schemes, and heavy advertising promotions.Sponsoring everything in sight while at the same time slashing the prices of their beers. 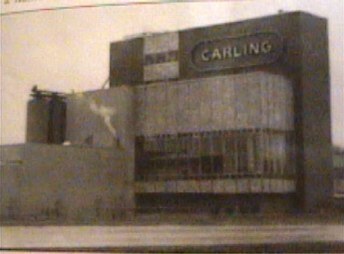 Carling had to cut prices to keep pace This led to sales and profitability falling for Carling, as well as many of the regional brewers that dotted the country. Carling had a wonderful concept, and it worked for a while. However, it is hard to make money brewing budget beer in multi - million dollar breweries. As sales and production began declining, Carling began to close or sell off breweries to stay financially afloat. With negotiations to sell the flagship Cleveland brewery going on, Carling moves their U.S. corporate office to Waltham,MA. 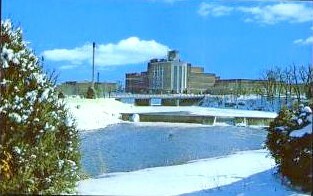 The original brewery in Cleveland is sold to C.Schmidt & Sons Brewing Co in 1971 and later torn down in the late '90's. 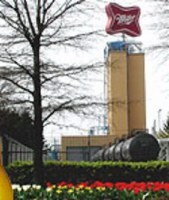 The Atlanta plant is sold two years later, in 1973, to Coca-Cola. The Natick plant is closed in 1975, with Carling bleeding red ink with no end in sight. In 1975, Carling of Canada, sold the American division,which in turn merged with the National Brewing Co. of Baltimore, Md. and became "Carling-National Breweries". Carling-National brews so many wonderful beers, but is unable to make it long-term thanks to the heavy advertising budgets of Anheuser-Busch, and Phillip Morris, the new deep-pocketed owners of the then struggling Miller Brewing Co. In 1979, Carling-National is bought out by the G. Heileman Brewing Co. of LaCrosse, Wisconsin. Heileman at the time was a very strong brewing entity that bought out struggling breweries and breathed new life into the brands and breweries. During the 1980's G. Heileman goes through several ownership and management changes which do nothing but ruin the once promising brewing company. For more information Heileman, National, and a complete timeline on Carling, its rise, and decline, please visit John Smallshaw's website. Just click on the Falstaff logo below, or click on the link on my links page. This is an awesome site with a full history on Carling as well as an in-depth look into the Falstaff Brewing Corporation. A must see for any brewery enthusiast! In 1991, G. Heileman files for Chapter 11 bankruptcy protection, and in 1994, is bought out by The Stroh Brewery of Detroit, Mich. This is where Carling Black Label was brewed after Stroh purchased Heileman and shut the Heileman breweries down. This was originally the Schaefer Brewery in Allentown, PA. Pabst took over ownership from Stroh, then sold it in 2001 to Diageo which made Smirnoff Ice there until it was sold in 2008 to the Boston Beer Company. This beautiful brewery is now owned by The Boston Beer Company (Sam Adams). In 1999, the assets of Stroh are divided up between Miller Brewing of Milwaukee, Wisconsin, and Pabst Brewing of San Antonio,Texas. 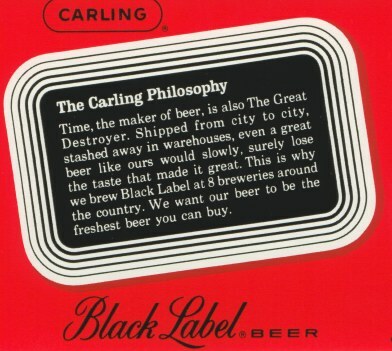 Today, Carling Black Label is still brewed at Miller breweries under contract to Pabst at Eden, N.C., and Trenton, Ohio. 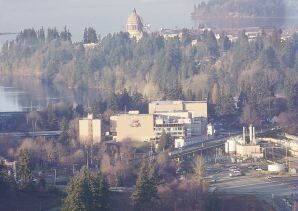 In March of 2003, Miller announced that they were closing the Tumwater brewery by July. Last of the "Great Northwest" brewers, the Tumwater brewery produced Miller brands that were purchased from Stroh & Pabst as well as contract brews, and Miller Malternatives such as Skyy Blue, Sauza Diablo, & Stolichnaya Citrona which have since all been discontinued by Miller. This is where Carling Black Label was produced for the West Coast before brewing was shifted to Irwindale, California in July 2003. UPDATE: JULY 2006 : Black Label is no longer available on the west coast of the U.S. as the last Washington state distributors discontinue Black Label. This ends production of CBL at the Irwindale CA location. Last of the Great Northwest breweries. It will be interesting to see what lies in store for my beloved Carling Black Label here in the US in the future. My wish is for Coors Brewing Company to gain control of the U.S. rights to the brand from Pabst, and revive it to its once proud and great stature that a great tasting brand deserves. Currently though, Coors is pondering the idea of selling "Carling" in the U.S. as a British import. 2007 - South African Markinor Grand Prix Awards- "Top Brand"
My question.....How can a beer that is so highly regarded in other parts of the globe be so shunned in my home country? The History Of Carling Black Label Beer In The USA | Carling Worldwide | Carling Breweries | Carling Brewery Tour | The Fable of Mabel | Carling & Racing | Carling's Holiday Man | Carling Images | My Collection | Carling Signs | Carling Cans | Carling Coasters | Carling Bottles | Where To Buy | Cool Links | About Corzman69 | About Corzman Pt.2 | My Denver Trip | Feedback & Thank You | T.I. Racing Hey Mabel Black Label.Com !